Flavor party in a skillet anyone? Is there anything better then going to a festival/party and they have someone with one of those GIANT paella pan’s!? Those things are awesome and thats probably the first place I’m running to. Unfortunately, there isn’t always festivals/parties with paella readily available. 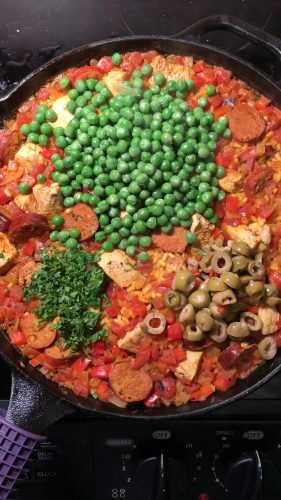 I’ve always wanted to re-create it at home, but could never find a recipe that incorporated everything that I wanted in a homemade paella. 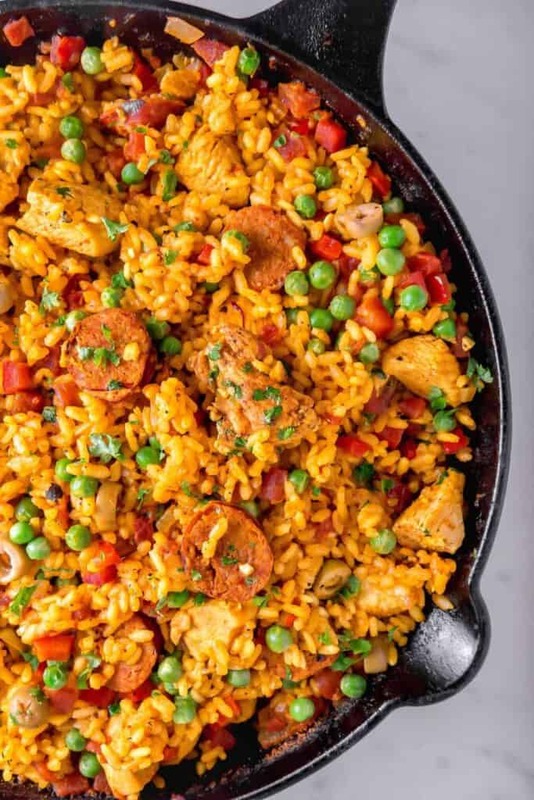 Typically Paella has seafood in it, but not everyone in my household likes seafood so I made it with chorizo (the best #flavorbomb) and chicken. You can substitute the chicken and add mussels, shrimp, clams, fish, etc. I would still recommend keeping the chorizo because it lends SO much flavor to all the elements that are cooked in the pan afterwards. 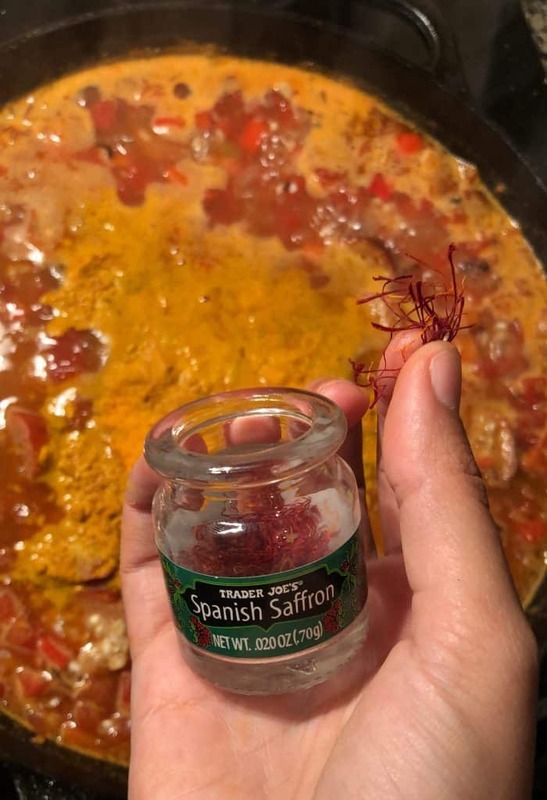 Whats Paella without saffron? I use arborio rice which is a short grain rice typically used in risotto, but its white so how does the dish become yellow? Enter saffron. Saffron is a spice that looks like tiny little threads, it is very fragrant, has a subtle flavor, and lends rice that rich yellow color. A staple in paella recipes. Not traditional, but I also like to use a little turmeric in my paella as well. 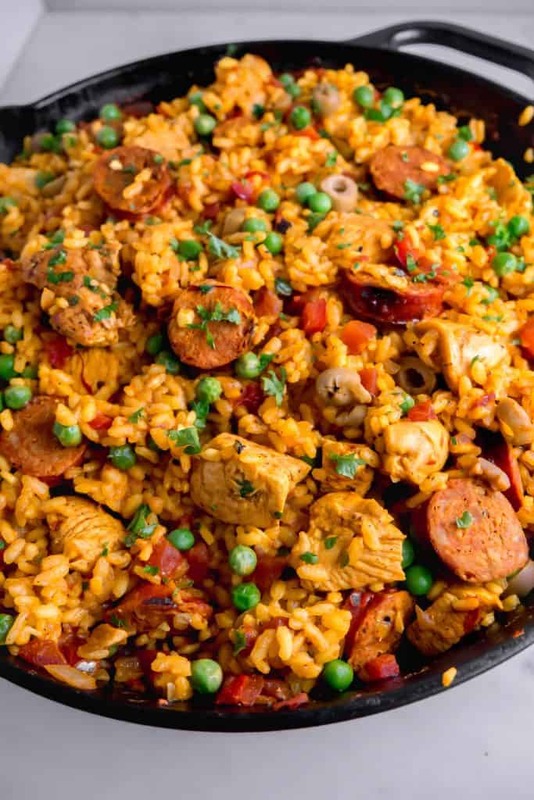 My biggest tip when making Paella is when adding the arborio rice, you do not want to disturb it so it gets that crispy texture at the bottom of the pan. After it’s all cooked, comes the garnish. I love putting peas, manzanilla olives, and parsley in my paella. If you’re not an olive fan, don’t write them off so quickly in this recipe. I would give them a try because it really brings the flavors full circle and the olive haters I know have eaten them in this dish (mission accomplished). In the end you get this colorful, beautiful dish that is bursting with flavor. 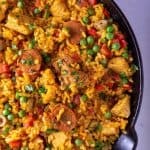 Chorizo & Chicken Paella that is bursting with flavor. Basically a fiesta in a skillet. 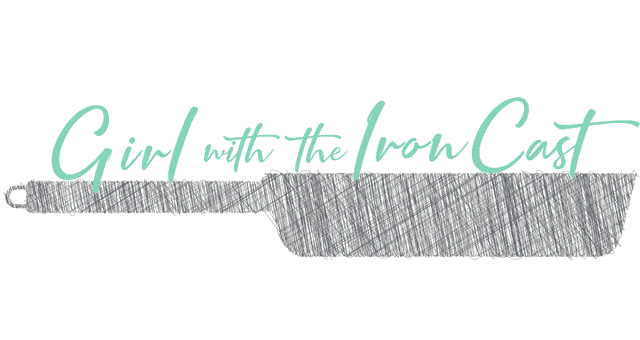 -Heat the 3 tbsp oil in a large cast iron skillet over med/high heat, add chicken, paprika, pinch of salt & pepper, brown the chicken on all sides, remove from pan and set aside. Add chorizo, brown on all sides and set aside. 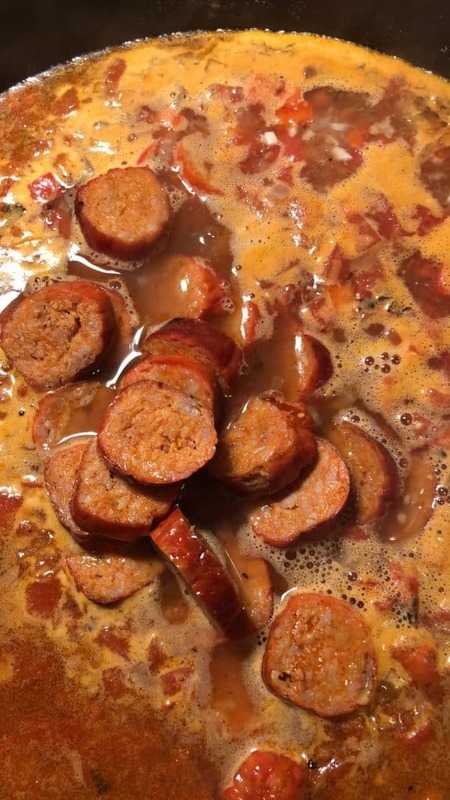 -Add the wine & bring to a boil to cook off the alcohol (about a minute). 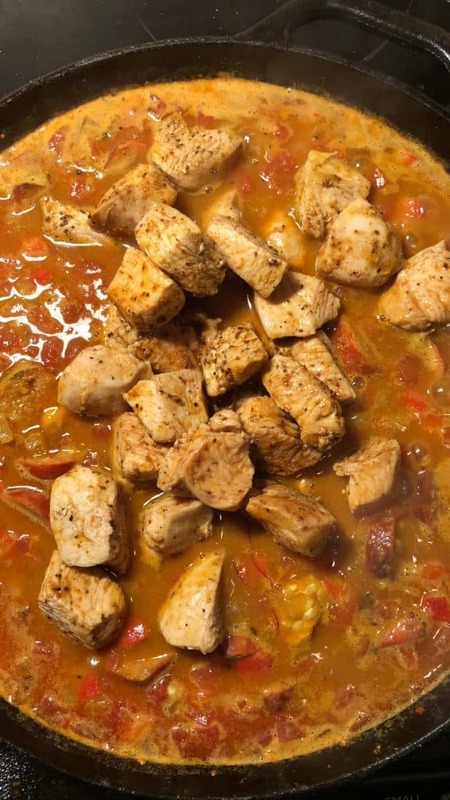 -Stir in the diced tomatoes, chicken broth, and chorizo. Bring the liquid to a boil and then stir in the rice, saffron, and turmeric. Add the browned chicken pieces. The rice should be covered in liquid. -Lower the heat and cover with a piece of foil. Cook the paella without stirring for 20 minutes. When the liquid has all been absorbed, pour the peas, olives, and parsley over the top of the pot. Mix all together, serve with lemon wedges on side.